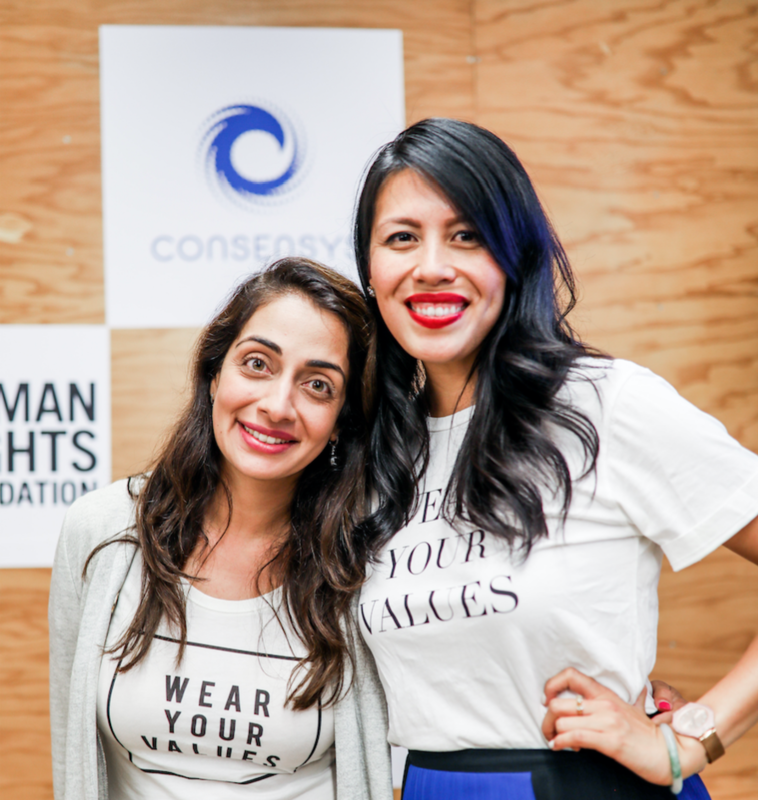 This year we developed the “Wear Your Values” workshop curriculum. 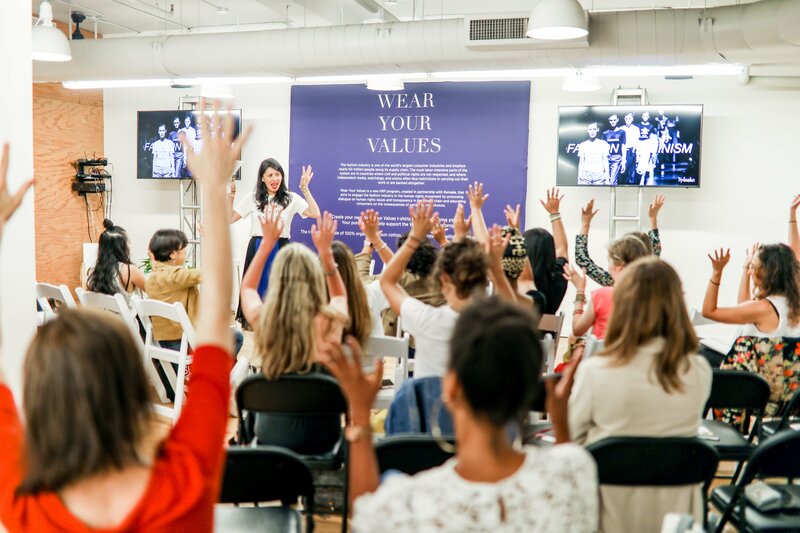 I had the pleasure to test our workshop materials for the first time, with audiences in New York during Fashion Week and in Amsterdam at the Fashion for Good center. As other Ambassadors roll this workshop out, I thought I would share some of the lessons learned to set you up for success. What differentiates Remake’s message from other sustainable fashion conversations is our focus on linking feminism to fashion. Many participants who entered my workshop had heard of sustainable fashion before, but were coming at the conversation from an environmental perspective. This workshop differs from the narrative they’ve already heard by putting the spotlight on women. Fashion is marketed by, sold to and made by women. Remake’s unique brand embraces all of our collective struggles as sisters across the supply chain. From #metoo, to equal pay, are struggles are the same. This point really hit home for the audience. If you’re as passionate about women’s empowerment as we are, this workshop is made for you. When leading the workshop, draw from your own personal story and why you were drawn to the movement in the first place. Here for example is my story and why I am a Remake Ambassador. 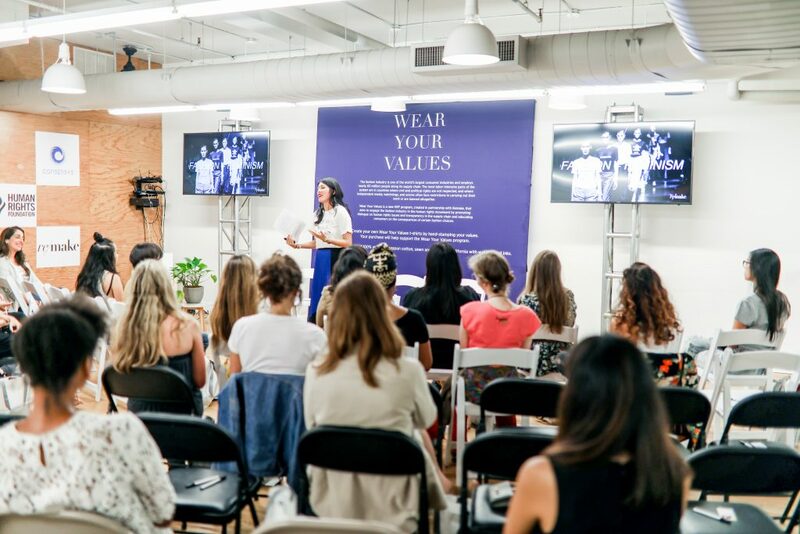 Opening up not just on why sustainable fashion matters to you, but also how hard it is to try and build a sustainable wardrobe will humanize you and connect you to the audience. It helped ensure that I did not come off as preachy. 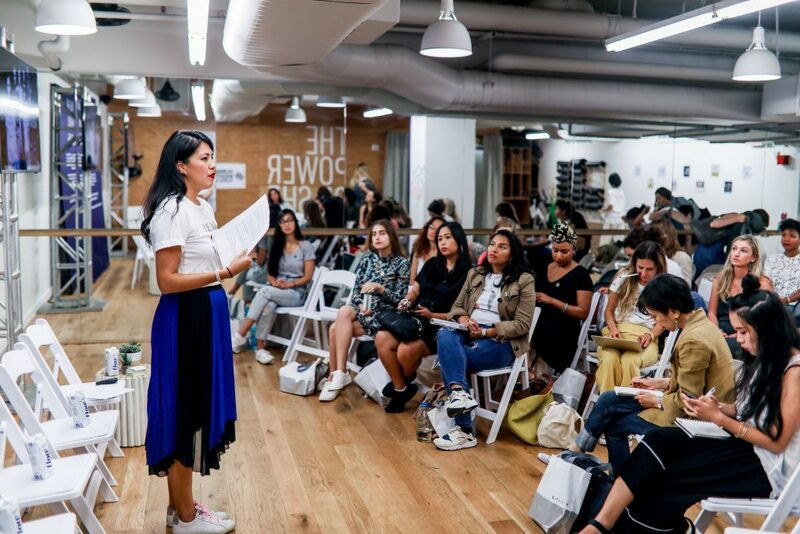 The audience wants to make a difference and I realized we need to have empathy for how hard it is to truly make a switch to sustainable fashion. Here is where practical hacks and tips and tricks from unsubscribing from fast fashion mailing lists, cold wash, to your favorite vintage store to rocking rental come in handy. Participants will walk in with preconceived ideas of garment makers’ lives. While women makers do have a different set of challenges that are more extreme than ours, it is important to help participants remember that women makers deserve more than a ‘victim’ narrative. They aren’t passive or weak. Rather, they are vocal and strong. They are activists, wives and mothers, and their stories deserve to be told with dignity. When watching Remake films, emphasize the parts of the women’s stories that demonstrate their strengths and conviction, and relate them to the everyday narrative that you and the participants take part in. In New York City I led a small (10 people), medium (30 people), and large (50 people) workshop. I was pleasantly surprised to learn that the materials works no matter the size. However, what helps the most is how you set up the room to make it as welcoming as possible. For a small audience, setting up chairs in a circle formation works best, to encapsulate the intimacy of the space. It can almost feel like a ‘meditation’, a closed and safe space for participants to exchange ideas. For a small group like this, you can really take advantage of hearing everyone’s voice, and having meatier conversations. For a medium and large audience, I think the best formats are “banquet” style” and “v shape”. Banquet style is when you have small tables of 4-5 chairs, and V shape is when the rows set up diagonally, forming a V. The banquet style can help promote interaction amongst participants, as well as dialogue between you and the audience. The V shape opens up the room, while creating an enclosed space for the presentation. After leading these workshops, I found that the most frequently asked question is: Aren’t these jobs better than no jobs? Despite the sweatshop conditions aren’t these women better off? If I buy less, is the maker worse off? Jobs are a great sign of progress, but only when makers are paid fairly, consistently, and have safe working conditions. The truth is many garment workers do not see their salary on time, and globally make ½ of what would be considered a living wage. She remains trapped in a cycle of poverty. In addition as we have seen with the Ali Enterprise, Tazreen and Rana Plaza disasters garment workers also face unsafe working conditions. At Remake we believe in supporting brands that have more transparent supply chains (here’s our brand directory), are better connected to their factories, have committed to fair trade and at least aspire for a living wage. Isn’t it better for our hard earned money to support brands that lift rather than trap her in a cycle of poverty?